I was so excited to finally check out Tongue & Cheek last night! I’ve heard so many good things and seen so many delicious pictures on their Instagram (@tandcmiami). 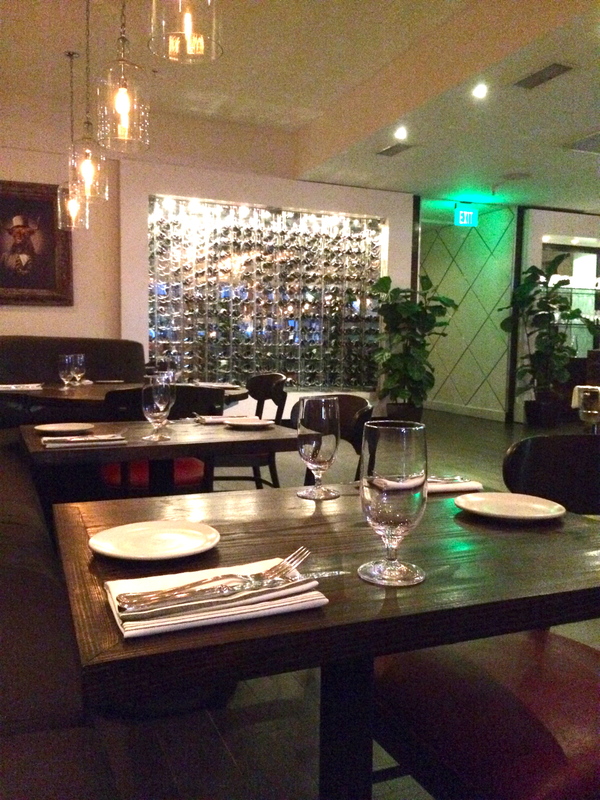 They’re located in south beach right on 4th & Washington so it’s really easy to find (valet was only $5!). The restaurant itself is beautifully decorated; a trendy meets neighborhood vibe with dark woods, lanterns, and a sprinkling of modern decor. All in all, it’s very welcoming. Looking at the menu, it was very hard to make a decision. Everything looked delicious! 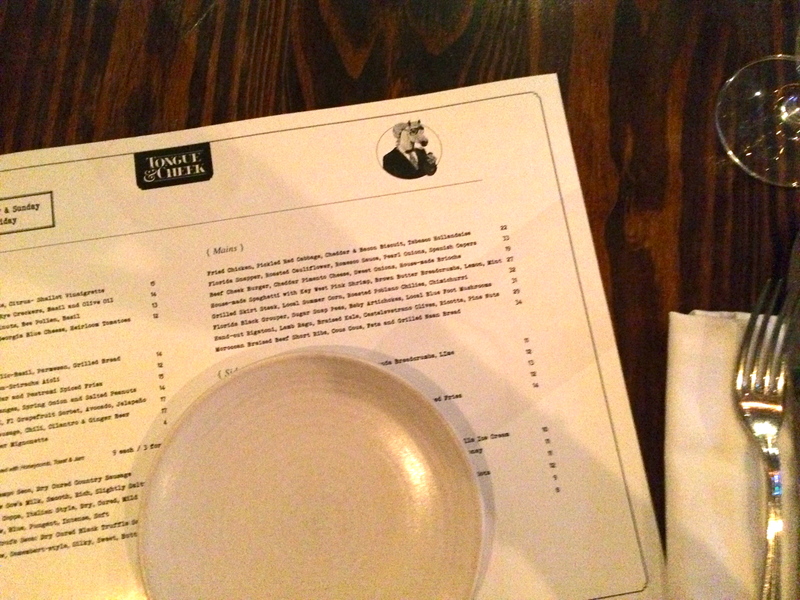 I really appreciated the ingredient-driven and focused menu, something I’ve only really seen in San Fran restaurants. Miami needs more restaurants like this! Also, the menu has plenty of variety, including a beef cheek burger, Florida snapper, skirt steak, mussels and much more. There’s something for everyone here. 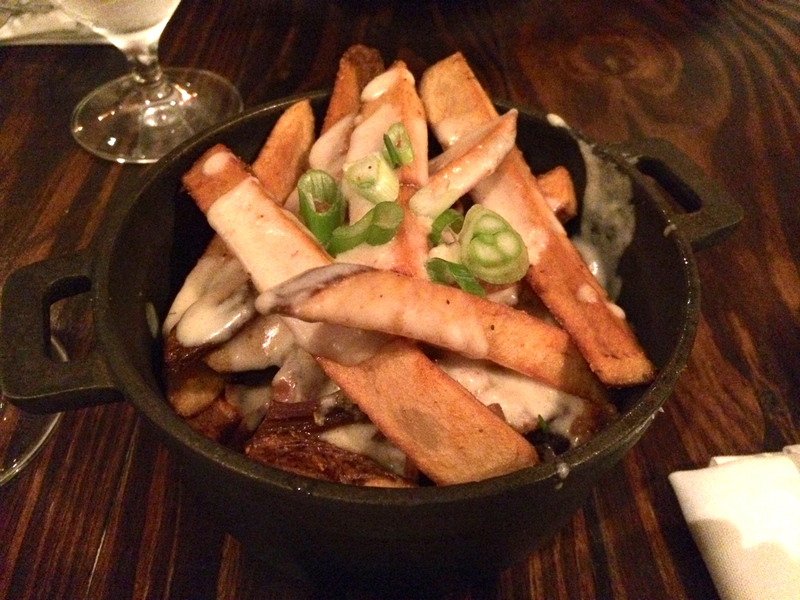 For an appetizer, we chose the “Poutine” of braised brisket, aged cheddar and pastrami spiced fries. 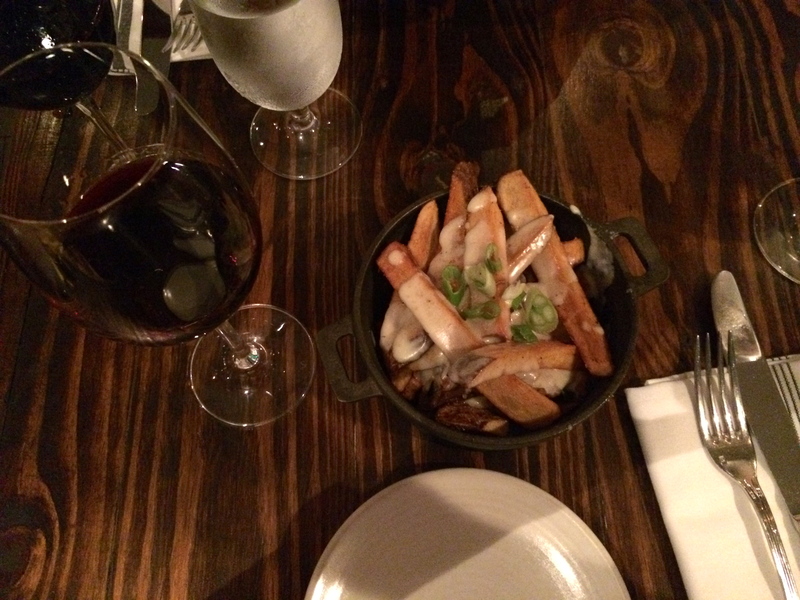 You can’t see it in the pictures above, but there was actually a lot of brisket underneath the fries! So delicious! I also loved the fries themselves! This was a complimentary dish of pretzels with bourbon, cherry sauce. The pretzels were fluffy on the inside and the sauce was so interesting; kind of spicy. I immediately tasted the bourbon! I chose to have 2 smaller dishes instead of one entree because, honestly, I couldn’t decide what I wanted! 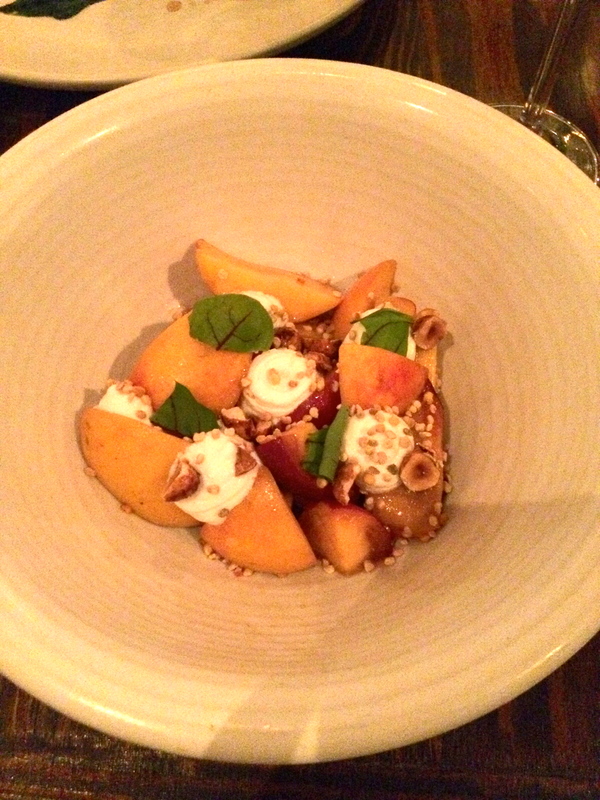 So, my first dish was the peach salad with hazelnuts, whipped ricotta, and basil. It was really good, but I also love peaches!! The hazelnuts added a nice crunch and the whipped ricotta was perfect with the sweet peaches. Last night they had a few specials. 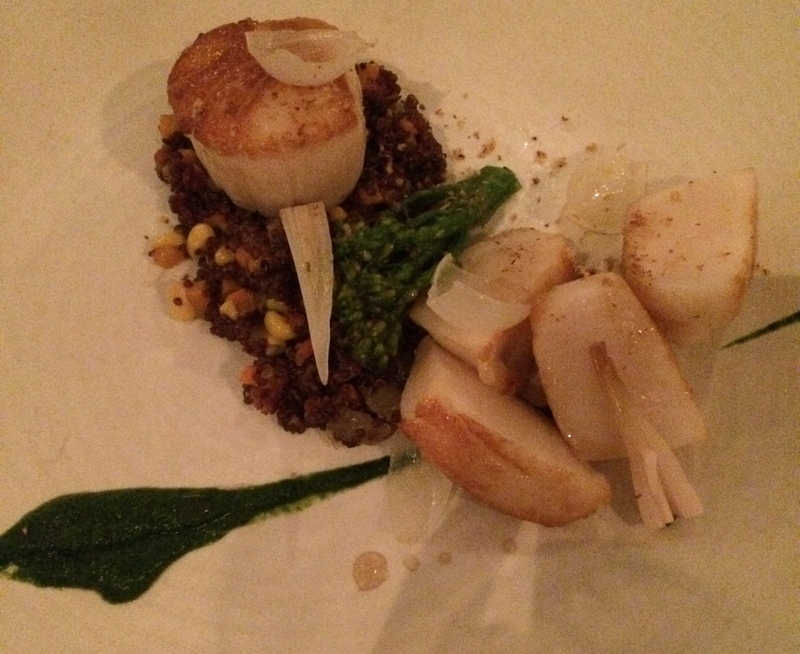 My other half ordered one of them- the U/10 Scallops, with broccolini, and quinoa. 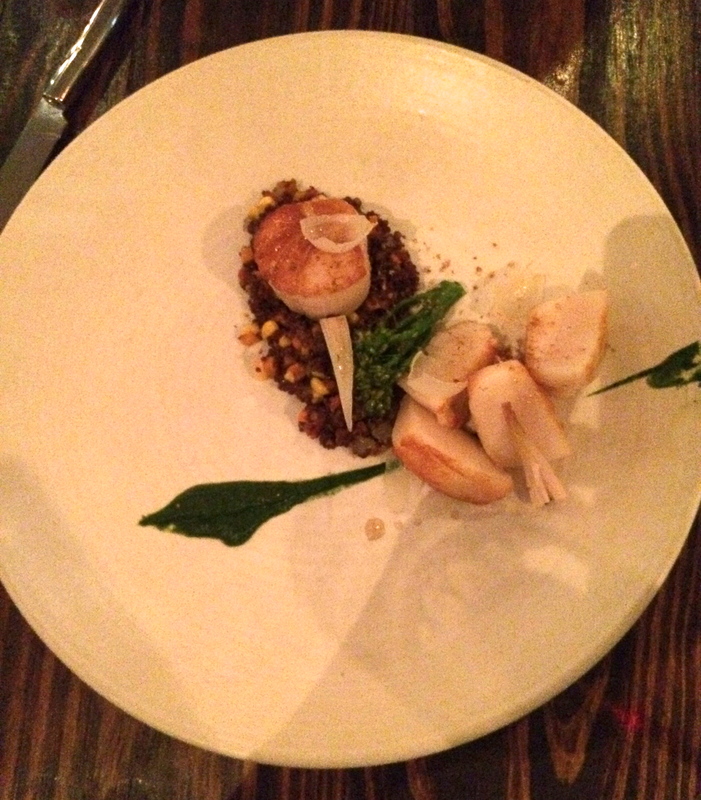 I got to try a few pieces and the scallops were very soft and tender. 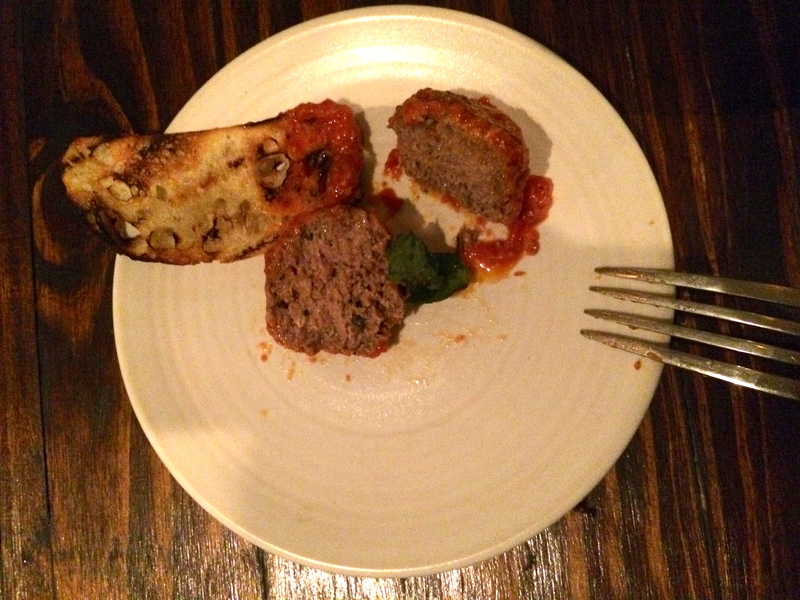 Meatballs!! 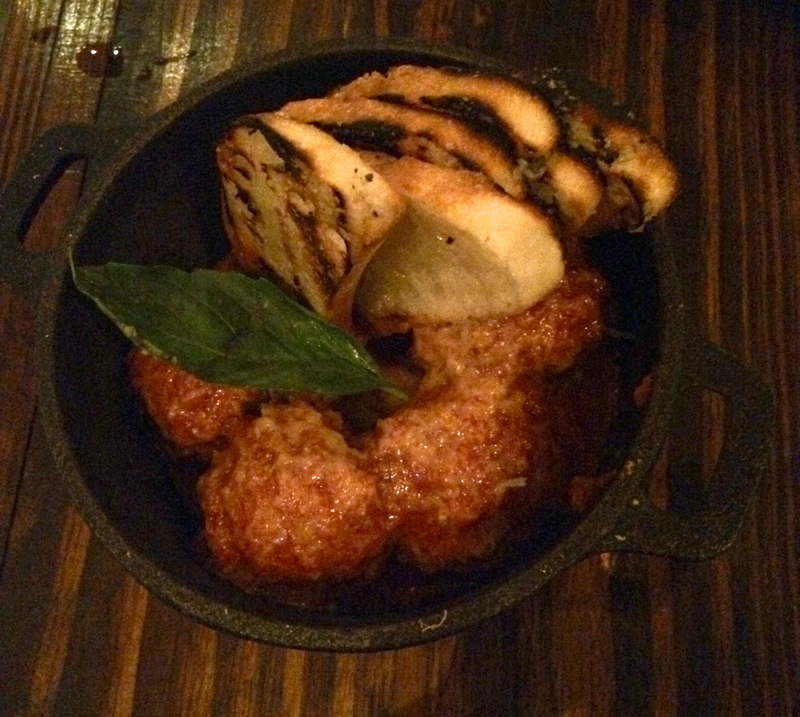 These were pork and beef cheek meatballs with grilled bread! So good!! I definitely recommend getting these. Also, plenty of sauce to dip the bread in! And basil!! 1 Tequila, 2 Tequila, 3 Tequila, Floor!